is trying to top it next time. If there’s one thing we’ve learned in all our years, it’s that great food makes a great gift. And when the gift is Lee’s, it’s a gift-giving game changer! Whether it’s a birthday, holiday, graduation or just because, one of our gift cards or certificates will put a smile on anyone’s face. And nothing tops that! 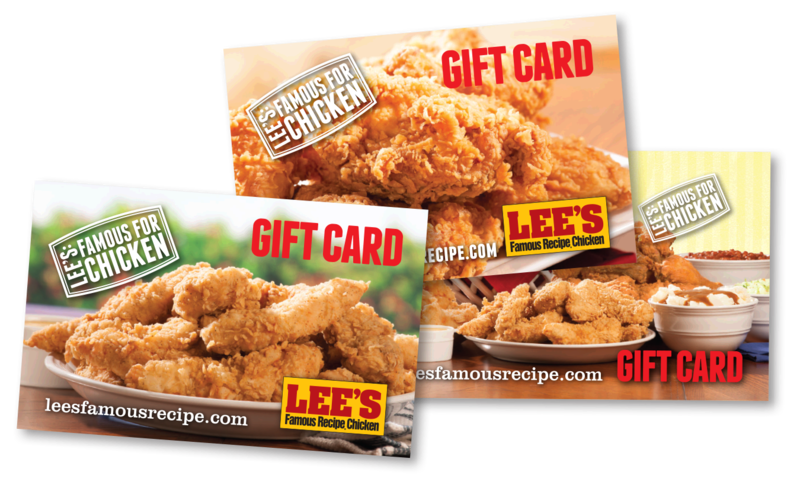 Find a Lee’s near you to find out how you can give the gift of Lee’s!